Inside scoop: The new ‘it’ paleo cassava flour is grain-free, nut-free and completely gluten-free, but is it free from other benefits as well? This recipe was submitted by Lisa Bermas, Toronto-based photographer, recipe developer, and nature enthusiast. Gluten-free, grain-free and nut-free, you don’t say? 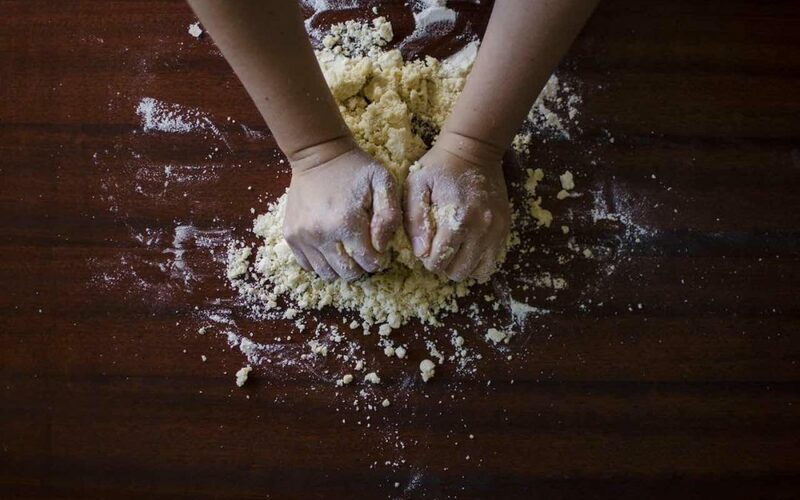 Let us introduce you to paleo cassava flour, the flour that has gained popularity as the go-to flour for those embracing the Paleo movement and the gluten-free lifestyle. is that it’s one of the few gluten-free flours that actually holds together well and replaces 1:1 for wheat flour, thus making it ideal for baking. Hold your horses though; this holy grail of an ingredient also comes with a few drawbacks of its own. Read below to help determine if this should be your go-to grain-free flour by learning about all its perks and flaws. Cassava, also known as “yuca” or ” manioc”, is a high carb root vegetable originating from lovely South America. This woody shrub is commonly known as a staple in African, Caribbean, and South American cuisine… just thinking about all the dishes makes us want to lick our lips. In the North American culture “tapioca” is prevalent more so than its culinary uses as a root. Tapioca, which is often used interchangeably with cassava itself, is actually the high starch, high carbohydrate substance extracted from the root of the cassava plant. That being said it’s easy to see how the two flours can be mistaken and how misconceptions of cassava flour can originate. Bottom Line: Cassava flour is ground cassava root versus Tapioca which is the starchy liquid extracted from the root itself. The water from this starchy liquid is allowed to evaporate and the powder left behind is processed into flakes or pearls; thus you can also get tapioca flour. Both of these flours, if not made in a facility with cross-contamination, are grain-free, gluten-free, and nut-free, phew! So now that we know the difference, it can still be tricky to know what to buy with all the potential brands we may come across. One brand we recommend is Otto’s Naturals, which is one of the leading suppliers of cassava flour. We recommend this brand over others because it is a whole food, plant-based flour containing a single ingredient, you guessed it: Peeled Yuca Root! In the European and North American culture, tapioca is often used as a thickening agent and can be found in soups and sauces. Now that sounds a little boring right? Well don’t be fooled, nearly every part of the cassava plant can be used and you have likely been eating a delicious form of cassava without even realizing it; such as in your bubble tea, pudding, mousses, or in a flatbread. With its rise in popularity, along with its mild flavour and texture, cassava flour is being incorporated more and more into baked goods. It’s one of the flours that you don’t have to worry about sacrificing taste or texture with; we’ve all been there struggling with our nasty cardboard tasting gluten-free flours. Moreover, this tuberous vegetable is very versatile and used in diverse ways dependent on the culture – from a vegan dish called yuca con mojo in Cuba to bammies in Jamaica to cassava cake in the Philippines. What’s impressive is that many of these cultures use the whole cassava crop and make the recipes from scratch. Now that we are all hungry and eager to be a mad scientist in the kitchen with our new favourite flour, it is time to take a closer look at some of the benefits of cassava flour. First let’s quickly recap: gluten-free, grain-free, nut-free, and paleo friendly. For those who are vegan or are following the Autoimmune Protocol (AIP) diet, this flour is also suitable. Cassava flour, if buying the “good stuff”, is also free from refined carbohydrates, low in sodium, sugar, fat, and synthetic ingredients. Note: by “good stuff” we mean a product that is not a blend of other ingredients, not tapioca flour (which is often bleached), and is basically 100% yuca root. A product like Otto’s Naturals Cassava Flour is one that meets these criteria. With its properties of being low in fat, sugar, and sodium, it is evident how those experiencing high blood pressure, diabetes or even those trying to cut back on sugar can be drawn to this flour type. Those who experience intolerances or sensitivities to grains can also be drawn to this flour due to its gluten-free and grain-free nature. 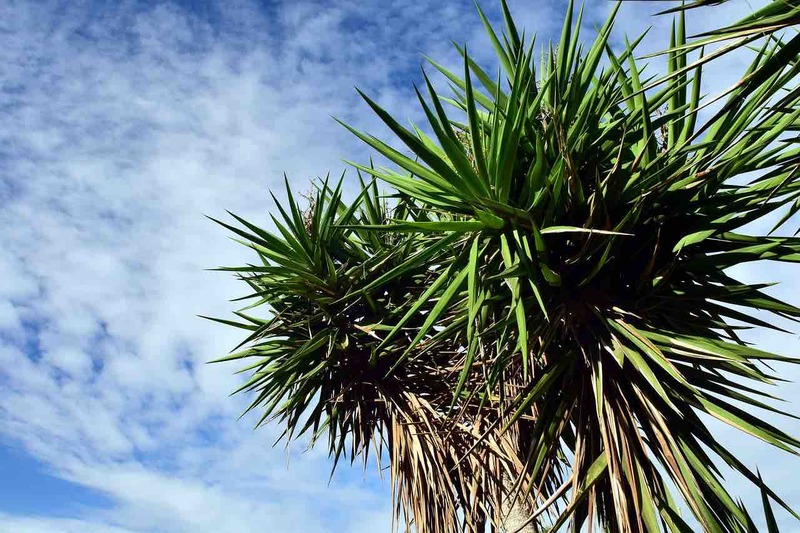 Moreover, due to the crop’s strong drought tolerance, it is viewed as a staple food in many developing countries and is often their major source of calories and carbs. With those of you trying to “cut out carbs” just note that carbohydrates are essential for our very being as they are our body’s primary fuel source. Try swapping refined carbohydrates for quality ones such as whole grains, legumes, veggies, nuts and seeds; as they provide better blood sugar management so you are not feeling the roller coaster effect. PALEO CASSAVA FLOUR, THE GOOD GUT DOCTOR? Likewise, cassava in its whole form is also high in resistant starch, which are starches that function similar to fiber. These forms of starches are also beneficial for our good gut bacteria, feeding it as a chia seed would. Resistant starch is also known to assist with blood sugar stability, promoting fullness, and decreasing appetite, which would be beneficial for someone experiencing low blood sugar (dysglycemia) or trying to lose weight. It is important to note that cassava flour contains lower amounts of resistant starch than its whole form, so ideally we would expend hours and hours in the kitchen making things from scratch as they do in many cultures. When comparing this flour to other gluten-free flours such as almond flour it is actually lower in calories. Per 1/4 cup of Otto’s Naturals Cassava Flour we can find 110 calories in comparison to NOW Real Food Raw Almond Flour which contains 140 calories. This isn’t to say almond flour is bad, in fact it is one of our favourites, we just need to keep in mind that a lot of the calories here is from fat itself. Now that we are keeping perspectives in mind, it is important to see if cassava flour comes with its own drawbacks instead of just putting it on a golden throne, though that would be cool! Are there any drawbacks / side effects / considerations to be aware of? As with any food, processing this root impacts its nutritional value. So for instance, the high vitamin C content found in raw cassava root is depleted due to heat and water utilized in processing techniques. Different parts of the plant also contain different nutrient profiles. Cassava flour, which is made from the root itself, is rich in carbohydrates; but lacks many vitamins, fat, and protein. Unfortunately, the more commonly known form of cassava, such as tapioca, actually has very limited nutritional value, just makes our bubble tea more enjoyable which is a good thing. It is also important to keep in mind that similar to other grains and legumes, cassava contains antinutrients, which essentially are those little buggers that interfere with the absorption and digestibility of other nutrients. As we’re aware, these food sources can also provide many other benefits. For instance, cassava itself is energy dense, but low in fat and protein. Thus, it is best to combine other nutrient dense ingredients in any cassava flour based recipe such as nuts or flax seeds. The effects of these antinutrients are actually more prominent in places that rely on cassava as a staple food and consume a diet poor in nutrients. The antinutrients that are most commonly found in cassava include phytates, tannins, and saponins; which are all naturally occurring compounds found in food. Tannins impact our ability to digest protein and also interfere with the absorption of many minerals such as iron. You are probably racking your brain trying to think of where you’ve heard the term tannins before, well tannins are found in tea and also in wine, let’s admit we consume these daily or almost daily and heck we are still alive. Everything in moderation that is definitely our rule of thumb, so when you hear reports of cyanide content in cassava roots, take a step back and think about it a little. The probability of cassava impacting our health negatively increases when we consume it raw, frequently, in large amounts, or when we improperly prepare it…kinda sounds like meat, right? With cassava though the main concern is the risk of cyanide poisoning, which actually increases in those who are reliant on cassava as a staple for calorie content and those who are already suffering from protein and nutrient deficiencies. The important thing to note is that products made from cassava root such as tapioca and cassava flour which are essentially the popular ones in North America, actually contain very little to no cyanide. The majority of the concern thus rests in developing countries, which unfortunately may rely solely, or heavily on cassava as a staple ingredient for calories. With Otto’s Naturals Cassava Flour a special proprietary method is used to ensure there is no chance for mold or fermentation to occur. 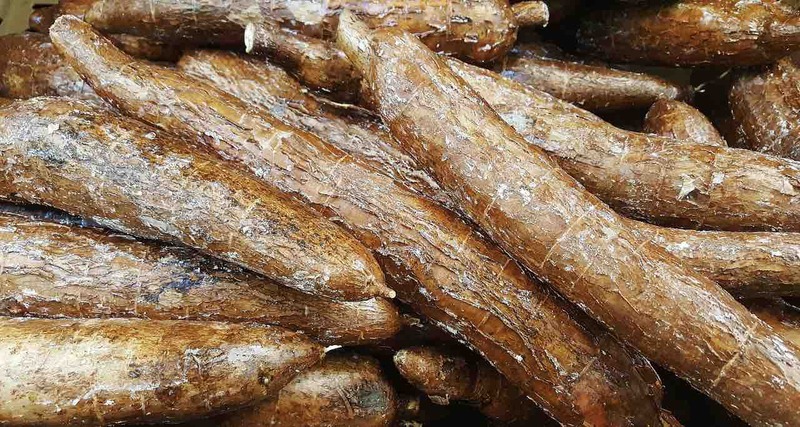 For those of you who are interested in an in depth look at the dangers of cassava, we recommend referring to this article Nutritional Value of Cassava for Use as a Staple Food and Recent Advances for Improvement. If you plan on consuming cassava we suggest peeling, soaking, cooking, and pairing with other nutrient dense and protein rich foods. If you’ve got that crazy idea to go as far as make your own flour, we recommend saving yourself the hassle and buying premade cassava flour…heck you can still make yummy baked goods without all the hard work. Since we’ve worked up your appetite and you are all eager to get started with your own cassava flour creations, try these Blueberry & Cardamom Cassava Flour Pancakes and let us know your thoughts! If you’re looking for new and interesting foods to add to your repertoire, make sure you snag a copy of our Top Naughty Nutrition Approved Brands, a complete list of some of our favourite packaged foods to keep your life simple, and incredibly delicious. Lisa Bermas is a Registered Holistic Nutritionist™ originally from Toronto. Her passion is to empower individuals to take health into their own hands with the guiding principles of plant-based nutrition. 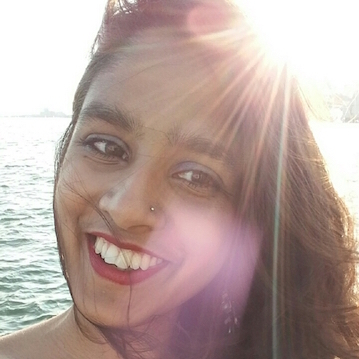 Lisa was intrigued to pursue an education in the alternative medicine field, in large part due to her experience with conventional doctors, who often wrote off her joint pain as either ‘growing pains’ or, simply put, ‘nothing’. She later linked this pain to changes in barometric pressure, poor absorption, and a highly inflammatory and acidic diet. The decision to turn to this field of medicine also stemmed from her realization that many doctors are essentially looking at the human body as individual parts rather than as a whole, integrated system. Lisa firmly believes that the integral link to our physical health is the connection between body, mind, and spirit.